Investing in the stock market isn’t for the faint of heart, nor is it for the inexperienced. It takes education and practice to choose the right online investment. The arrival of the internet has opened the world of investing in the markets to a wider variety of people. In the past investing in the stock market was limited to the wealthy and to the banks. The internet has leveled the playing field. However, just because it’s easier and much more affordable for the common man to invest in the stock market, this doesn’t mean it’s any easier to choose a profitable investment. 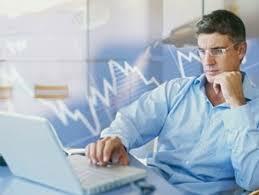 Choosing the right online investment still takes knowledge and experience. Without both of these it’s easy to lose money fast, and in some cases, to lose even more than you initially invested. Although, along with it being easier to invest in the market, there are also several websites teach the correct way to invest. On the other hand, there are just as many, if not more, sites that will take your money with a claim of teaching the correct way to invest, only to leave you with nothing in return. The best advice for beginning investors is, be careful, do your research and remember there is no such thing as easy profits.